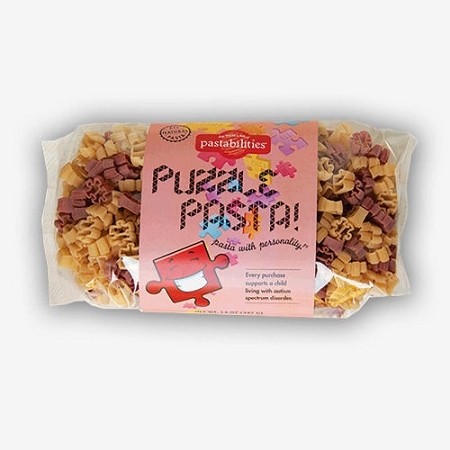 Support kids living with autism spectrum disorder with this fun, puzzle piece shaped pasta. A delicious recipe is included! Please note that the colorful label was designed by a student with autism.